“It could have been taken in any one of hundreds of rural schools across the province. 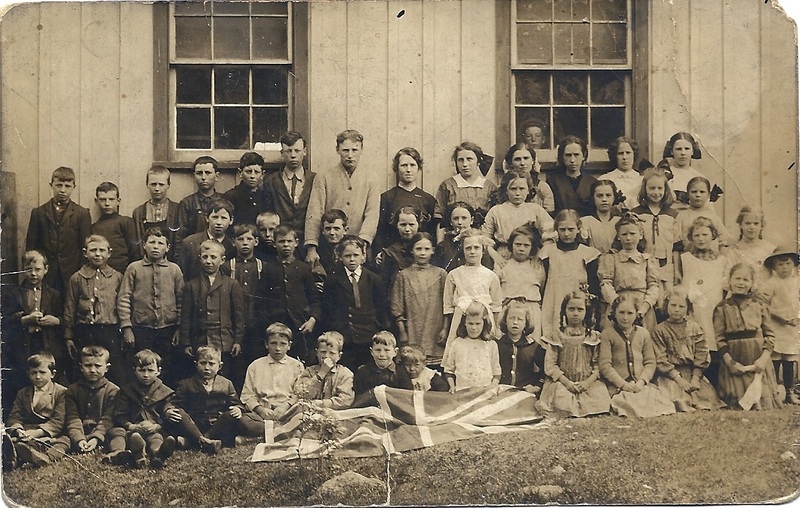 The flag in the foreground suggests it might have been in commemoration of a Queen Victoria school event, or, perhaps less likely, Dominion Day. There was a time when the cost of hauling bricks hundreds of miles was prohibitive and a site in the high-frost regions necessitated buildings that could withstand being shoved around by rising frost levels. Talk about “portables”! If we had any input on where the Thompsons settled, historically, that might lead us to The Canadian Champion’s records in Milton Library. In the 1877 Halton Atlas there were Thompsons in Town of Oakville, Georgetown and Township of Nassagaweya. When I scrutinize the Nassagaweya map, I see several schools on private lands, and I’m guessing they were put up by the landowner. Joseph Haggen (Conc.III), James Napper, NNE of Darbyville to name a couple.